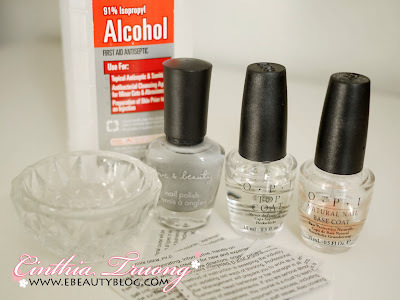 Step 2: Pour a little bit of alcohol into a dappen dish, then place your already dry nail into it for 5 seconds. If you don't want to use alcohol, water should work too but the letters will not be as dark and precise as with alcohol. Step 3: Immediately take a piece of newspaper and place it on top of the nail. DO NOT RUB on it, the letters will smear. 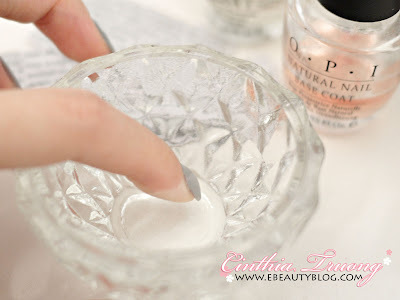 Gently tap/press it onto your nail for about 5-10 seconds then remove the newspaper. Step 4: Finished off with a layer of top coat. It's important to use top coat to keep the letters intact. hey! just wanted to hear if you have had any results with the eyebrow conditioner (don't remember the name right now)? I have thin overtweezed eyebrows and need some help. Wow! What a print Of the nail paint,, i really like this..Keep It up! Ive tried this a couple times and Ive totally forgotten about this. That's such a cool design! Bound to get some compliments. 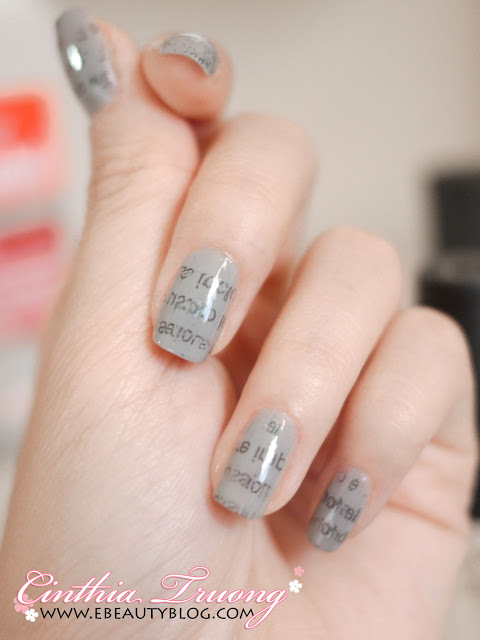 I'll definitely do this on my nails soon. what kind of alcohol do you use? because I tried it and it didnt work for me. I think it's because of the alchohol i used. Or maybe because I used a japanese news paper?